Like Maker’s Mark before it, Woodford Reserve has been known for producing one whiskey and — it’s annual, limited edition, special release whiskeys notwithstanding — one whiskey only. Then Maker’s launched Maker’s 46, leaving Woodford the only solo shop. Now Woodford is joining the club with Woodford Reserve Double Oaked Bourbon. Side by side with the original Woodford, Double Oaked offers a whiskey that sticks close to the distillery’s classic style. Lots of cinnamon and raisin on the nose, with vanilla, light chocolate, and smoothed-over wood notes on the finish. Compared to the original, it is surprisingly not heavier on the wood character but rather smoother and more mellow, particularly on the finish. Woodford original has always been a touch on the tough, wood-heavy side, and here Woodford manages to dial it back. The unorthodox production method and ironic name choice notwithstanding, the choices are sound. 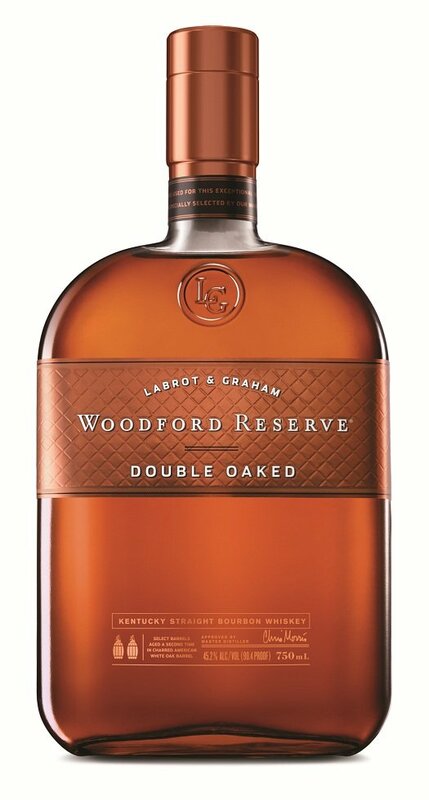 While Double Oaked lacks some of that intense vanilla character on the finish that original Woodford has, it makes up for it with more nuance and a smoother ride. I am hard pressed to pick a favorite, but ultimately I think Double Oaked is a slight improvement over an already fine whiskey. Both, by the way, are 90.4 proof.